2) The wireless double prompt bug is still there : if I change my desktop account password, plasma prompts me for a password everytime. It does not remember passwords. About 1. I can confirm the OpenSUSE patches are hackish and work intermittently and raise way more issues than they solve. 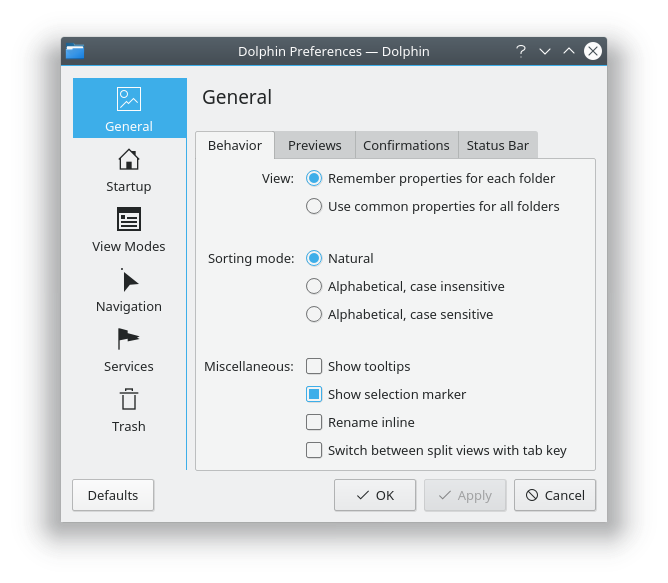 Dolphin improvements reminded me about KDE dialog. Why does it scrolls only horizontally and not vertically? I’m not sure if that’s something I can change, request a feature, a bug or am I missing something? 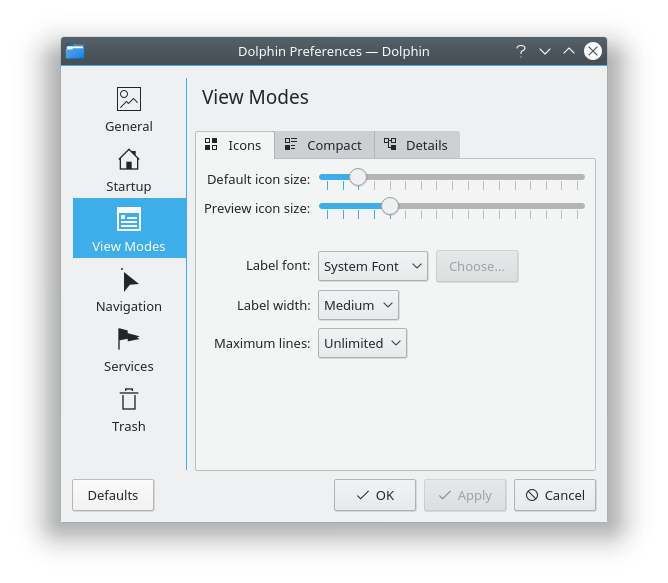 Why it behaves differently then Dolphin windows? Instead scrolling down I see narrow window and have to scroll right for lengthy time to find a file or a directory. This feels unnatural and is confusing. Can you file a bug that includes a screenshot? OK, I found out that only icon view has horizontal scrolling. This is weird, because sometimes I do need icon view especially when I pick pictures, also I need to make them big and then I have to scroll horizontally. On other hand, icon view allows only for the same size icons as detailed view and the latter allows for vertical scrolling. Hmm… I guess I have to use different view mode then ;). Problem solved ;). Sometimes one have to write to someone to find out the answers for themselves :P.
In the file upload dialog box click Options -> Icon Position -> Above File Name. This should get you vertical scrolling for the “Short View” mode. Sending via Bluetooth and KDE Connect seem to fit into the Sharing category, why aren’t they there? Once we get this “Share” menu integrated everywhere, we’ll take a look at consolidating our existing sharing options into it to reduce duplication. The dolphin share button is nice. The screenshot als shows “send via Bluetooth ” etc. Those could be merged within the new share menu. Also: dolphin often shows a useful action button that contains things like rename with krename. Would be nice if the compress stuff could be merged there cause it’s kind of a similar action. Glad you’re enjoying it! Thanks for the suggestion. It’s because they are using different internal APIs. 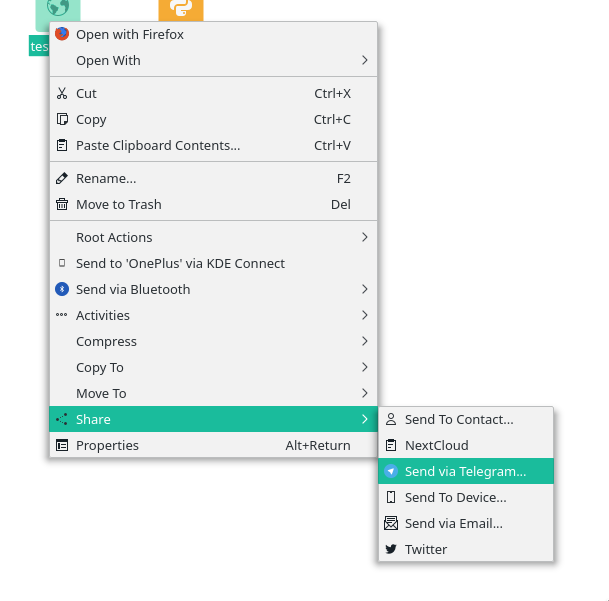 KDE Connect actually is in the share menu. Right now it’s shown two times, but we’re working on that. So these are no longer using servicemenus? Does that mean we won’t be able to enable, disable, and install “share” menu entries like we can with servicemenu entries? Keep in mind that most servicemenus aren’t migrating to the Share menu. Thanks a gazillion for each second of your precious time, Nate, David, Eike , Alexei , Vlad , Kai …. and everybody i’m forgetting now , you’re all certainly making the world a better place . All of a sudden spectacle’s function to export->share to imgur stopped working . It worked fine ( although it was kinda slow… even with tiny screencaps using a 100/100 mb internet connection ) on Plasma 5.12… i’d say even before that version… but now it just does nothing when you click on it. Is there any way i can test this further to check what it does step by step on a terminal ? This is Export > Share > Imgur?” In what way does it no longer work? ” Export > Share > Imgur ” Yes, that’s the one . I take one screenshot ( don’t think this info helps … but most of the time i add a small 5 secs delay + rectangular selection ) , then go with my mouse cursor Export > Share > Imgur ( click on Imgur ) … and does absolutely nothing 😐 … like clicking there doesn’t trigger any even anymore 😛 . It’s something i use often, so ‘ve been aware of this for a good while when it stopped working . Not exactly dramatic, but as of late have been wondering if there’s a way to check what’s the issue behind. Has there been recent discussions on the default font? I hope I don’t step on anyone’s toes for saying this, but IMO the defaults are quite weak. The simple action of shifting to a pure-black display text (HTML #000000) would help a lot with readability. I pitched #000000 when I last tweaked the font colors in https://phabricator.kde.org/D7424, but that was rejected in favor of the current darker gray color. People were worried that pure black text would look too harsh and stark against pure wight backgrounds used in some places. I think a potential avenue of further improvement is to reduce the darkness of the gray used for window and button backgrounds, which is being discussed. If we make that a lighter shade, it will have the effect of improving text contrast for text used in buttons and other controls. Additionally, I find that an 11pt font is vastly easier on the eyes than 10pt, quite aside from the inherent contrast of the text and background colors. Changing the default to 11pt isn’t yet possible because there are many UI elements that unnecessarily increase their size when you bump up the font size, and we’d need to fix those first. But I personally run with 12pt Ubuntu and the default Breeze color scheme, and I find that everything looks sharp, readable, and beautiful, and I can live with some things being a tiny bit bigger than they need to be. Thank you for your efforts. I also find the default font size to be slightly small, although when I increase Noto Sans to 11pt I can’t help but feel that it doesn’t look good; quite “unmodern” compared to the default fonts of certain other OSs and DEs. I personally prefer Source Sans Pro 11pt. It’s *really* pleasing (with proper AA) and I actually prefer the resulting size increase of UI elements. Hello Nate! I am always waiting for this weekly report on my beloved DE. I was thinking, after seeing the first image, that the Online Accounts module (or whatever it is) is really underused. It could be an usful way to converge accounts across different apps instead of manually login in each one; just like gnome does. Also, this could encourage more devs to create new kio-plugins. Anyway, cheers and thanks for this weekly posts! Ah, one more thing about Dolphin. I believe there was a fix for content not to jump when Dolphin window is resized (from maximized to not maximized)? I hoped to see it in KDE Frameworks 5.47 but it’s still not there. It’s highly irritating to find and click a file, then un-maximize icon to be forced to scroll again for the matched file, because view was displaced. If the fix is already there as I recall it should, awesome! If not, let me know if I should file a bug. What is gross about it? Hi Nate, really appreciate the updates as always. I wondered if this would make it possible to let Dolphin preserve the creation time when moving files (Windows Explorer behavior), however I’ve been reading up on it and (to my very limited understanding) it looks like that would require support from some other components as well. I had actually been hoping to see this supported on NTFS, but that’s looking even less likely to happen. Note that once support is actually in glibc, it may still be a long time before we can count on being able to use it as some distros are very very slow to update things. In the end, the raw syscall approach is probably best for the next few years–provided someone with aubstantially better low-level programming skills can give me a hand or grab the patch. Wow, I would be happy to see statx support. Currently it’s too easy to move files, timestamps may change and cloud sync apps go crazy uploading/downloading whole GBs of data unnecessary. This can be a pain to bandwidths, space and can create some duplicates that are named as conflicting files. Now I know why such operations never caused issues on Windows, while having Linux computers connected to cloud make it so much harder and more problematic. Too bad that you will be waiting for Debian or Ubuntu to catch on… 😦 unless you can somehow make it behave as: if the new glibc is present it will preserve timestamps, if not, it will default for old behavior. 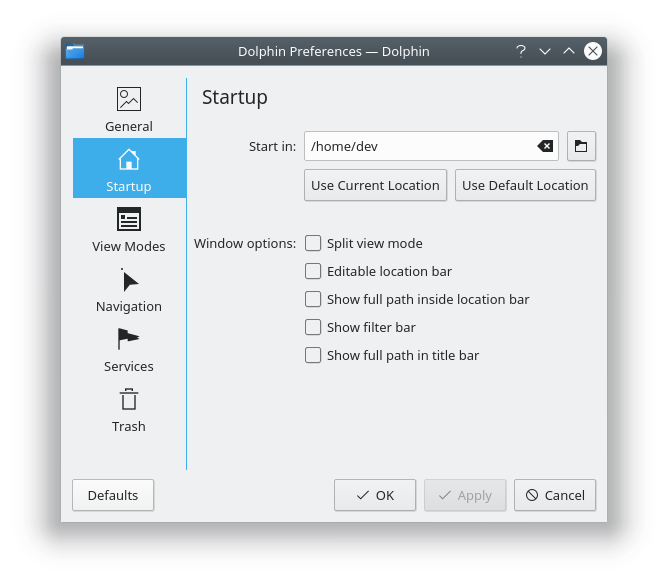 This way cutting edge distros may enjoy this improved behavior so much sooner. By the way: developers should at least have neon and rolling release systems in the same. If I understand it correctly, you are mostly testing it for and on Neon, while on for example Arch systems some different issues come out because of the different versions. I realize that this variety may be a pain to developers. Not only consider popular ubuntus but cutting edge ones and also deal with users who use ancient versions of Plasma. Hi, it would be interesting to see an option to manage user and groups in the system settings, is there any plans to add something like that in a future? thanks. I want to file a bug/wish to the logout and the login screen. In the past there was an option where you could “reboot into selected grub-entry”. But I do not know which components I have to file this to. Could name/link me to them?